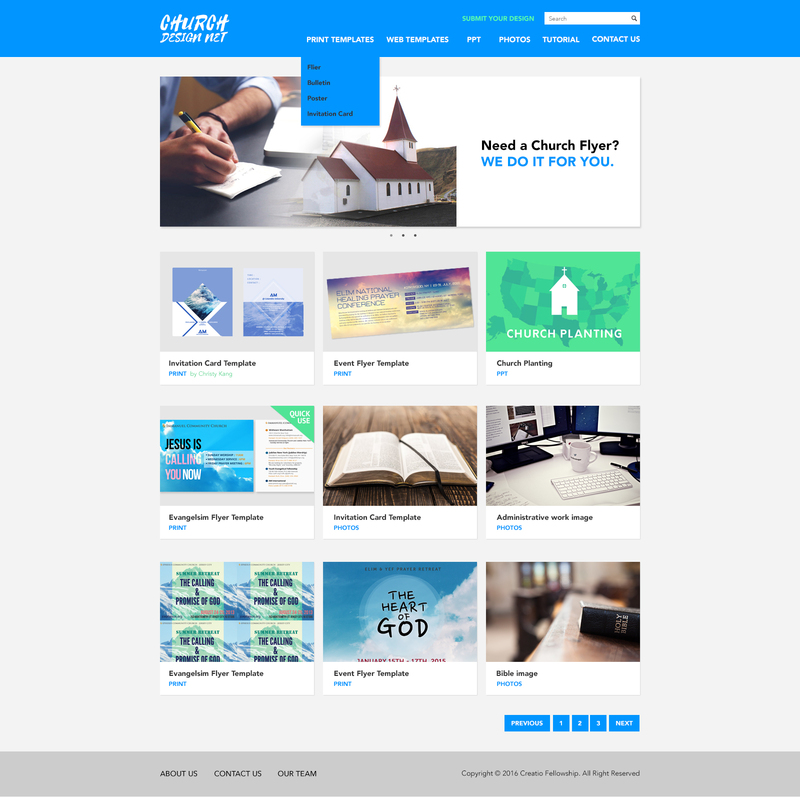 Creatio USA finished designing their church design resource website called, ‘Church Design Net.’ Church Design Net will be the website where church leaders, missionaries, and designers can download free design resources or make a request to receive designs for specific projects. Mission leaders can request designs for fliers, bulletins, posters, etc using this website as a showcase. Some of the templates such as a flyer can be immediately used just by downloading the files and modifying the contents without getting any helps from the designers. Many other useful resources such as PowerPoint files and Christian related photos can be also downloaded freely. Ministers will be able to use these kinds of files in order to produce professional looking presentations or service resources. The photos will also be good tools to updating their websites to be attractive and appear active. Church Design Net will become a stage where Creatio’s artists and designers in the USA can offer their designs to directly support churches and fellowships. It will also unite Creatio members to share their creative ideas and designs in one place. Please pray for this project to support US mission greatly and allow for more creative projects to burst forth in building the Kingdom of God.